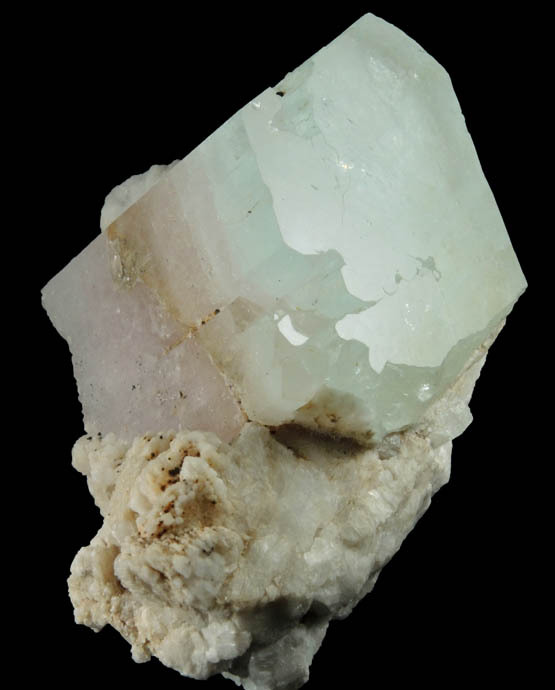 Description: Lustrous 45 mm bi-colored beryl crystal on white albite crystals to 3 mm. 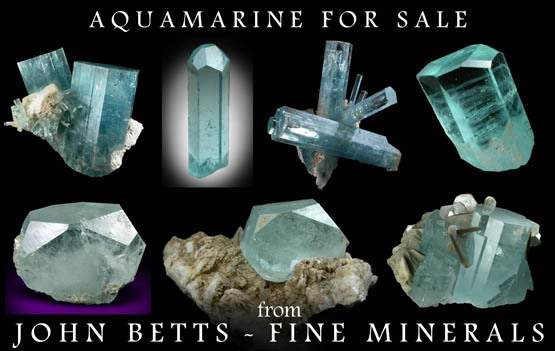 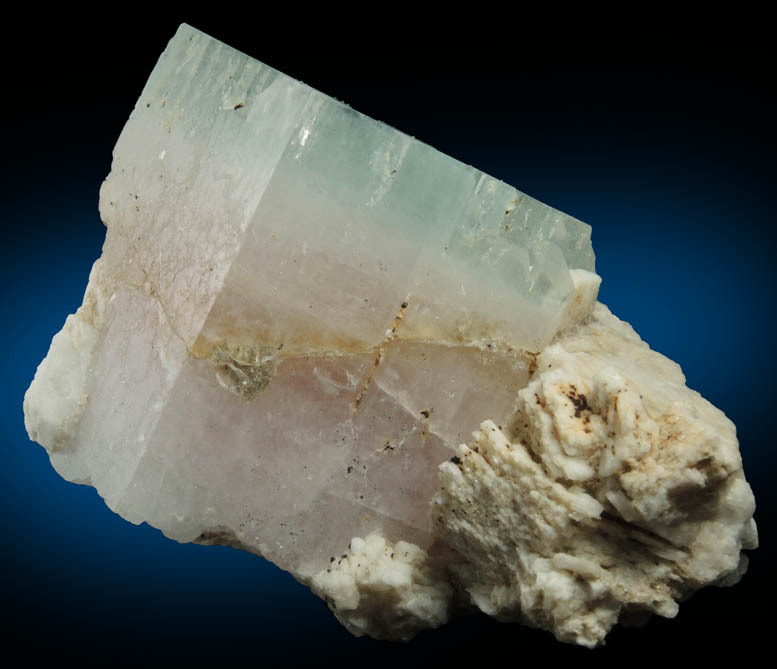 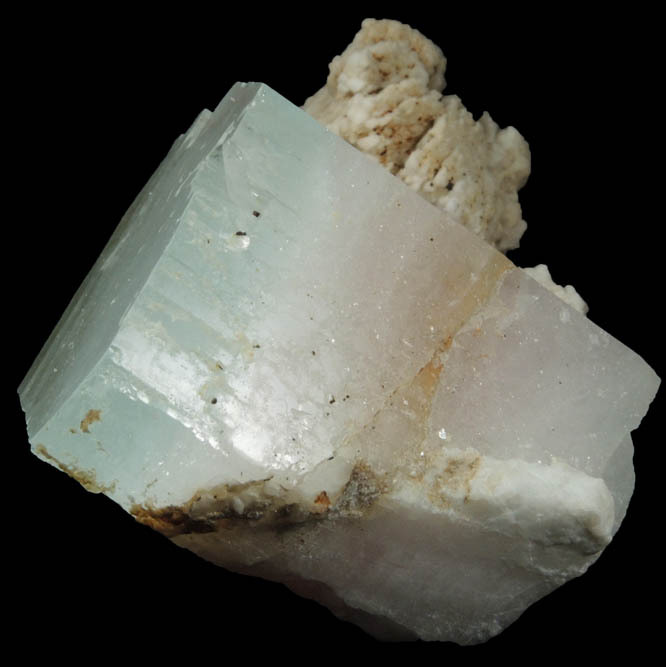 The beryl crystals has a blue termination (variety aquamarine) and a pink center zone (variety morganite). 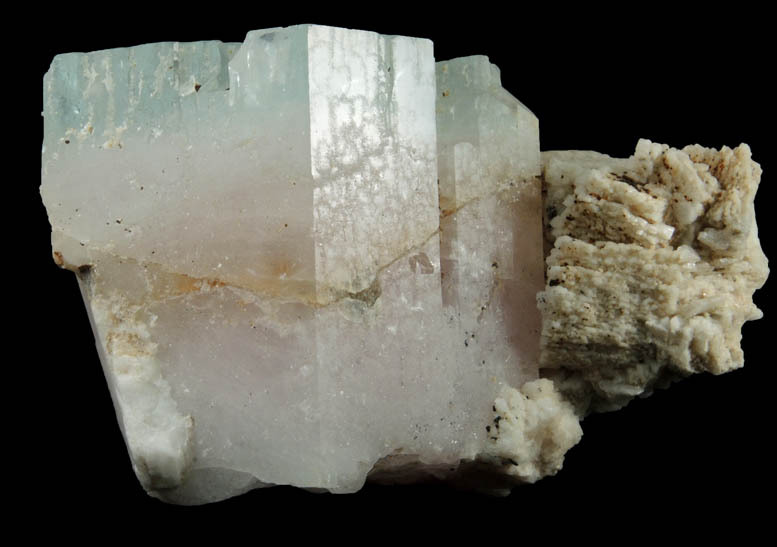 A healed fracture runs through the center of the aquamarine-morganite.